From our family to yours, Pioneer Security is committed to providing Home Security Systems and life safety for residential customers and their families. We provide home alarms using Honeywell Security products, the #1 manufacturer of security equipment in the world. 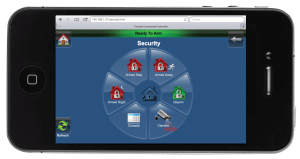 Control your security system from your phone or iPad. You can’t put a price on life. When considering security for your home, we understand that personal safety supersedes property protection, so we will design your home system to make it easy to live with and easy to use. Properly designed, a home security system will protect your family when you are home, and your property while you are out. Call us today and ask us for a demo of our user-friendly security app that will make your life easier and your family safer.